The signotec products and solutions are made for making customers become pleased user. 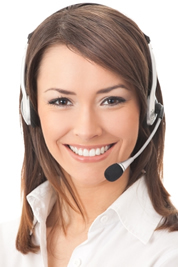 But if you determine an unexpected problem, you will find the necessary help and assistance on our Support-pages. If you need technical assistance, we like to offer support by phone or we check your problem with our remote maintenance tool. For customers with a valid software maintenance contract this is free of charge. Please describe the problem as detailed as possible, including a description of the operating process, the date when the problem occurred the first time, if applicable modifications made on the respective workplace/server. To be able to solve a problem, the problem has to be repeatable. Please describe exactly, how the problem can be repeated. To describe your request, please use the document “Error Report” and if it’s about a defective Signature Pad please use the appropriate RMA-Form from our download page for documents. You can call us from 08:00 am – 05:00 pm CET + 1h day light saving at summertime. Please take a look at our FAQ page containing a lot of useful tips and tricks!